The botanical name of 'Shigru' is 'Moringa Oleifera'. 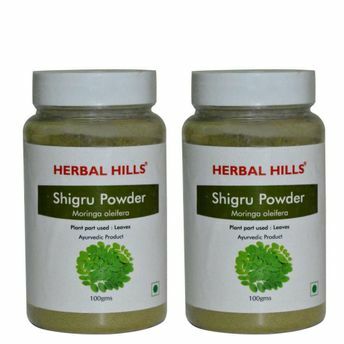 Shigru is one of the most widely cultivated Ayurvedic herbs across the world. It has immense health benefits targeted towards many systems like digestive, heart and circulatory system. Herbal Hills Shigru Powder is full of nutrition and has a variety of benefits for the humans. It vitiates the pitta and alleviates vata and kapha.